Fill a large pan with water and bring to a boil. Divide the cauliflower into florets, not too small but also not too large. Peel and finely chop the shallot and garlic cloves. 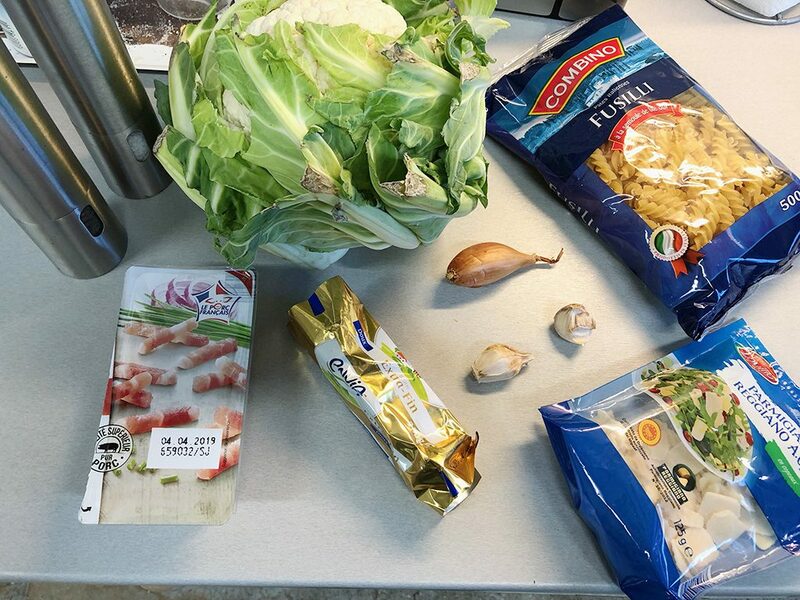 Cook the pasta in the large bowl and meanwhile heat a large knob of butter in a large skillet. 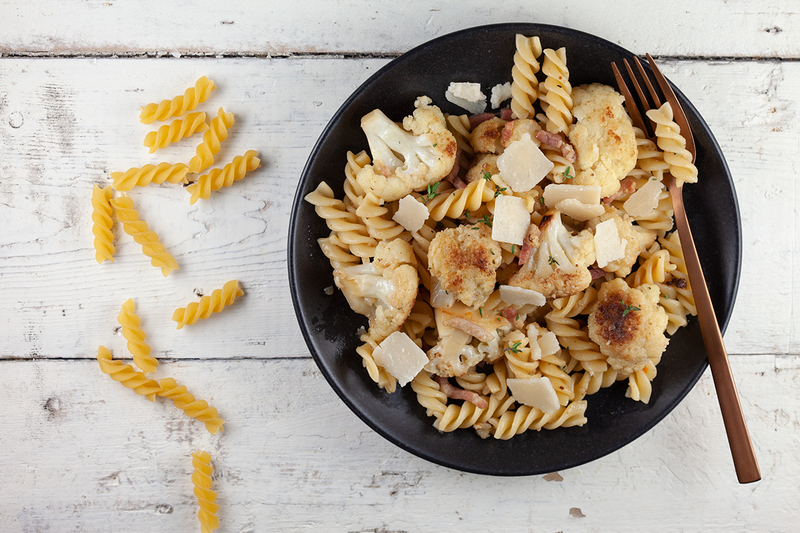 Cook the cauliflower florets on medium-high heat for about 10 minutes. 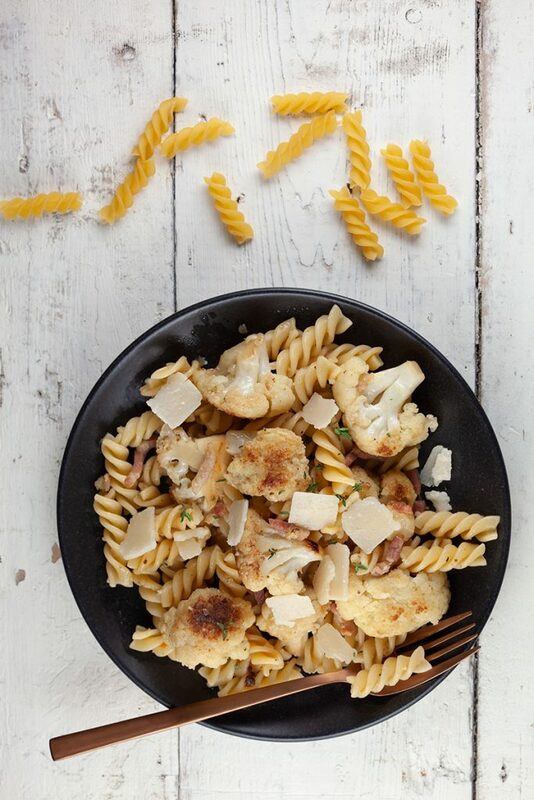 You’ll notice the cauliflower will start to caramelise and will become softer. Add the bacon and cook about 5 minutes more. Drain the pasta as soon as its al dente. Cook the finely chopped shallot and garlic for a few minutes more. Stir in the drained pasta and season with pepper and salt. Be careful with the salt, because the bacon and cheese are also salty. 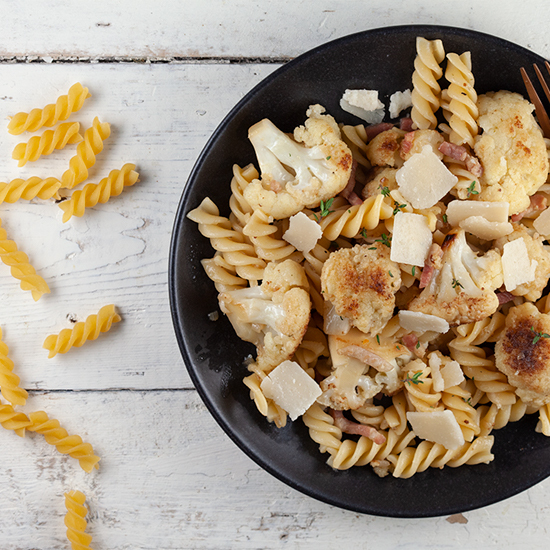 Serve the pasta and cauliflower with (coarsely) grated cheese and thyme (without stems). Enjoy!